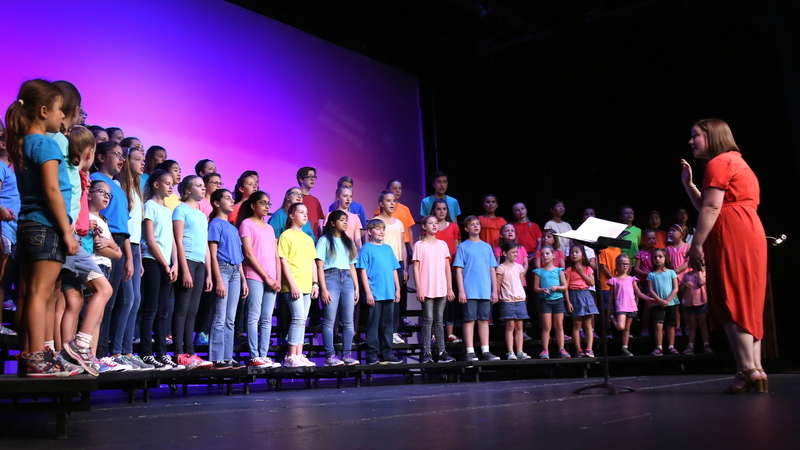 Palatine Children’s Chorus (PCC) will offer free Welcome Nights on Monday, August 20 and Wednesday, August 22, 6:30pm at the Palatine Park District Community Center, 250 E. Wood Street. PCC welcomes all children ages 4-18 who love to sing! Beginning its 32nd season in September, singers from throughout the northwest suburbs enjoy a variety of musical experiences in the Sing with Me (ages 4-5), Do Re Mi (ages 6-7), Treble (ages 8 and over), Intermezzo, Concert, and Honors Choirs. PCC nurtures children’s voices, introduces all age groups to a variety of music, and offers each level appropriate and safe vocal instruction and music education. The Chorus’ traveling choirs have performed around the world, including Hawaii, Montreal, England, Austria, Venice, Spain, Ireland, and New York City. Additionally, the choirs performed for the Chicago Cubs, White Sox, Joffrey Ballet, and at the Illinois State Fair. All choirs perform at the holiday concerts at Cutting Hall Performing Arts Center on Saturday, December 8 and help the Mayor of Palatine light the Christmas Tree in Towne Square. The purpose of the Welcome Nights is to recruit new singers and teach them about the Palatine Children’s Chorus. A short presentation is given and each child has an opportunity to sing and determine the best choir placement. No experience is needed to join a choir. “At PCC we believe that every child can sing,” Bellas said. “This is something that is very important to me about our program. We will always include every child who is interested in our programming, regardless of their age, ability, or experience. We have choirs at five different levels, so there is truly something for everyone,” she added. This introductory music class caters to children 4 -5 years. Teaching is done through musical games and movement. Children ages 6 -7 develop a solid music foundation covering concepts such as rhythm and beat, matching pitch, and producing an age-appropriate unison tone. Singers practice unison and simple two-part singing, learn basic music theory, and develop their skills for sight singing. For singers who are familiar with music either from private instrumental lessons, school, or Treble Choir. Singers who demonstrate their maturity, commitment, extended musical knowledge and vocal development are ready for Concert Choir, which is a touring choir. In addition to the seasonal concerts, this choir performs many times throughout the year at a wide variety of venues. In addition, Concert Choir singers travel on tours that typically take place every other year. The 2018 tour was to Disney World in Florida. Singers performed in the theme park and participated in Disney vocal clinics. Members of Honors Choir are part of Concert Choir but also learn their own challenging repertoire. These are the most accomplished, dedicated musicians. Assisting Bellas, Crystalyn Boyer is excited to begin her first year as the Assistant Artistic Director. Previously, she was the accompanist for PCC’s Do Re Mi and Treble Choir for three years. As Assistant Artistic Director, Boyer will direct the Do Re Mi and Treble Choirs, and assist with Intermezzo, Concert, and Honors choirs as needed. “I am so excited to work with Crystalyn, who brings excellent experience and musical expertise to the staff,” Bellas said. Managing Director of the PCC is Melissa Schlesinger. Her role is to communicate with singers and families, and coordinate performances, programs, and uniforms. “She brings a great energy to our staff and is incredibly helpful with anything we could possibly need,” Bellas said. Sue Love is the Tour and Finance Director. “Sue works tirelessly to plan all of our exciting summer tours, helps us fundraise, and coordinates all things financial,” Bellas added. Established in 2017, Palatine Children’s Chorus Association is a choral arts volunteer organization associated with the Palatine Children’s Chorus. It is a non-profit organization through which parents, friends, PCC alumni and community members can support Palatine Children’s Chorus. For more information on Palatine Children’s Chorus, visit the chorus website at pccsings.org or contact Cultural Arts Coordinator Ashley Schiavone at 847.496.6237 or aschiavone@palatineparks.org.